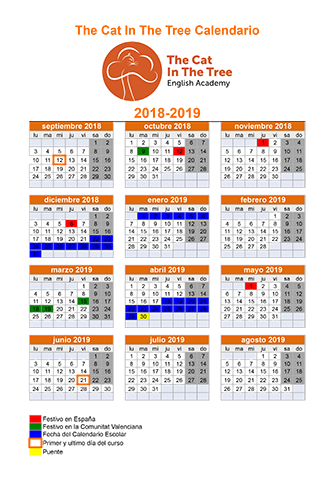 Aquí os mostramos vocabulario para describir las diferentes partes del plato y si son contables o incontables. Just as Sunday isn’t Sunday unless you have a Paella in Valencia, the English feel the same about a Roast Dinner. This is one of the most traditional English dishes which is cooked in thousands of homes every Sunday, it involves a choice of roasted meats always served with roast potatoes, vegetables and most importantly gravy! 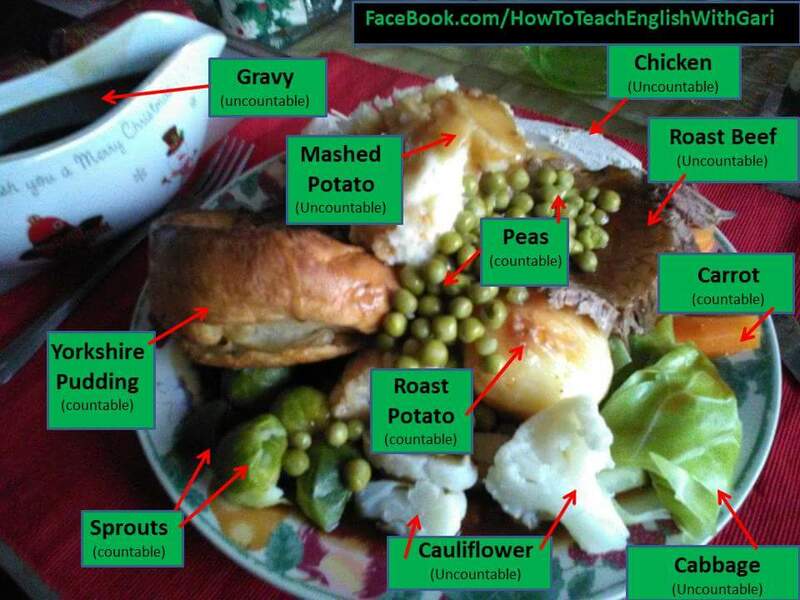 Here is some useful vocabulary to describe the different parts of the dish and whether it is countable or uncountable. Cuando describes tu plato preferido existen muchas maneras de describirlo Por ejemplo: Delicioso! Aquí hay algunos adjetivos adicionales. Los coges? 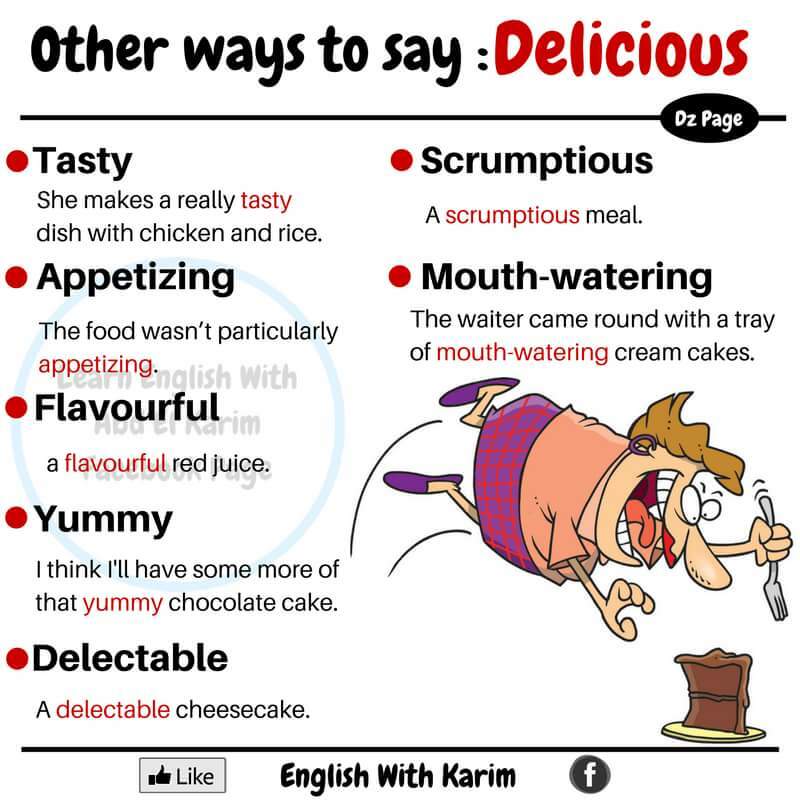 Here are some additional adjectives to describe the different ways that food can taste, which do you know and use?